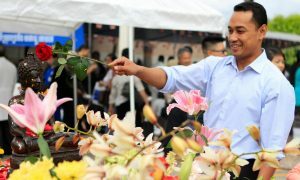 LONG BEACH, CA – Today Cambodian American local businesses came together to celebrate and showcase their products and services at another landmark event in Cambodia Town. 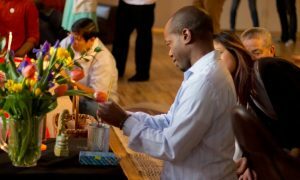 The Second Annual Business and Culture Expo, a full-day event opened free to the public and sponsored by the Cambodian American Business Association (CAMBA). Held under rows of white square tents on the spacious Mark Twain library parking lot, the event hosted over twenty businesses and social service organizations, ranging from booksellers to fashion boutiques to mom-and-pops. A troupe of young Khmer dancers from the Khmer Arts Cultural Center, Inc. (KACC) opened the expo with a classical blessing dance called the Robam Choun Por in the Khmer language. The dancers in their ornate and colorful traditional costumes danced their stylized movements while gently tossing flower petals towards the audience, offering good wishes for a successful event. The majority Cambodian American audience also was treated to a lineup of keynote speakers, including two Secretaries of State, His Excellencies Sorasak Pan and Sarith Khim, from the Ministry of Commerce and the Ministry of Culture and Fine Arts of the Kingdom of Cambodia, respectively. 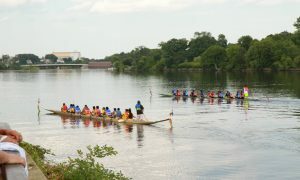 Long Beach has been widely known to have the largest number of Cambodian living overseas outside of mainland Southeast Asia. 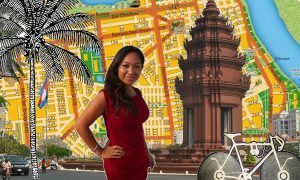 The recent recognition of a stretch of the Anaheim corridor in Long Beach by its city council as “Cambodia Town” has earned Cambodian Americans another milestone in its short history in America, putting it in on the map of potential Khmer investors looking to do businesses in the United States. 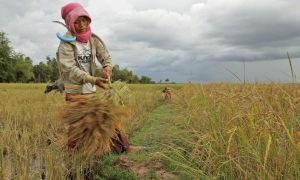 This year the United States saw rice imports from Cambodia for the first time after several attempts had failed a few years before due to lack of sophisticated packaging technology. Angkor International, a local company importing rice to the U.S. from Cambodia, displayed and handed out their rice in small plastic bags to a throng of interested expo participants at their booth. Cambodian rice is available at all of the major Khmer supermarkets in Long Beach, as well as at stores in other Californian cities and other select cities throughout the U.S. The Sunday event continued with a Red Ribbon cutting ceremony, fashion show, successful individual highlights, introduction of businesses and products, and live entertainment performed by a local Khmer band playing hits from the golden era as well as modern tunes. 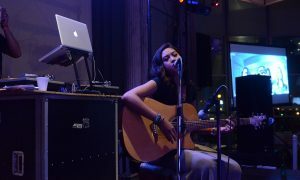 Some prominent Cambodian entertainment personalities were also present at the event. Mr. Yous Bovannak, a former popular Cambodian actor who now lives in the U.S., expressed optimism and noted that this event is a product of Cambodian unity, a positive sign that Cambodians can unite and bring about a positive legacy that later generations can be proud of. 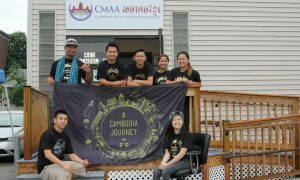 Another well-known businessman and community leader, Mr. Danny Vong, who now chairs the Business Council for CAMBA, also encouraged younger Cambodian business owners who are educated in the United States to help lead and inject fresh and innovative ideas to strengthen the Cambodian business community. 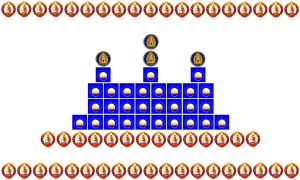 “If the local businesses and young Cambodian intellectuals and concerned citizens did not actively engage in leading CAMBA, growth and sustainability would be difficult. The older generation leaders like myself because we lack formal education cannot lead as effectively on national and international levels,” said Mr. Vong. 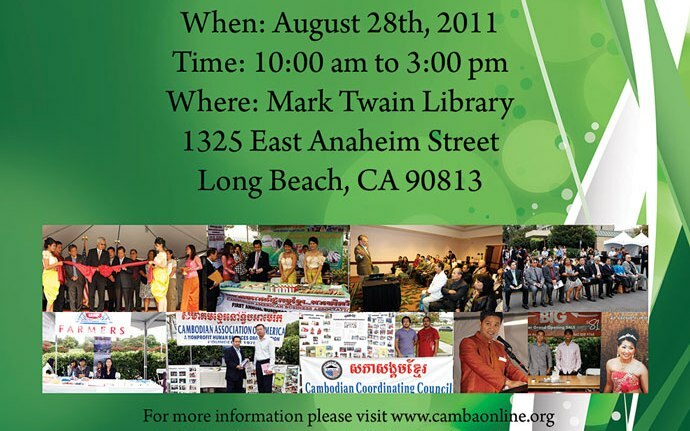 Participation from Cambodian Americans, whether they be business owners or otherwise, is welcome and encouraged. In the future the expo may even alternate venues. 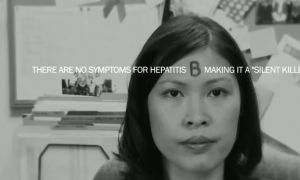 “CAMBA has a strong presence in the West Coast, but we are working on increasing that presence in the East Coast also – hoping in the future to alternate the annual expo from Long Beach to the East Coast,” said Meas, the one-time candidate for US Congress.